SINGAPORE (Oct 11): Singapore banks are well positioned to withstand losses from Asia’s oil and gas defaults, says Fitch Ratings. Perisai Petroleum’s S$125 million bond default is a symptom of financial strain across Southeast Asia’s oil and gas service industry, after bondholders rejected restructuring plans. 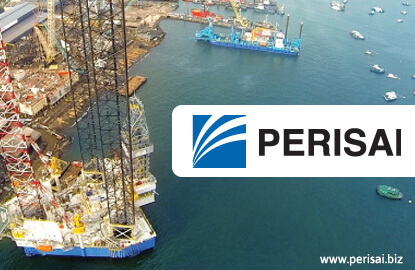 Perisai Petroleum’s other debt, around S$358.3 million as of June, is likely borne by major Singaporean and Malaysian banks. Singapore’s three major local banks, DBS, Overseas Chinese Banking Corporation and United Overseas Bank had a combined O&G exposure was S$51.3 billion at the end of June, which represents 55% of their combined core equity Tier 1 capital. While the number seems high, Fitch notes that the majority of the exposure is collaterised, with only S$17 billion or 18% of the exposure is to the vulnerable offshore support services subsector. The non-performing loan ratio for the banks remains low at 1.23%, but Fitch expects this to rise modestly as more oil and gas non-performing loans emerge. Singapore banks are secured to withstand further asset-quality deterioration due to their disciplined underwriting standards and provision buffers of over 100% as a proportion to non-performing loans. “Adequate profitability, sound funding and liquidity positions, and strong capitalisation also support Singapore banks’ ‘AA-‘ratings,” says Fitch. Perisai Petroleum is far from being the outlier this year, with oil and gas services companies running into trouble. Swiber’s filing for creditor protection in July has led DBS to classify S$651 million of its S$721 million exposure to the company as non-performing, with the remaining S$70 million expected to be classified in 3Q. Swissco has appointed EY to assist in refinancing and restructuring S$100 million worth of bonds due in 2018, with AusGroup and Marco Polo Marine in various stages of debt reorganisation. The O&G sector has a negative outlook and Fitch forecast the credit metrics of Southeast Asian oil and gas issuers to deteriorate this year, making multi-notch downgrades on ratings of oilfield service companies in the region. Despite the recent rises in oil prices, upstream oil producers are still looking to reduce cost. O&G service companies have felt the sharp end of the negative effects of investment cuts by oil producers, leading to lower day-rates. Smaller operators remain vulnerable, with larger companies with a diversified revenue streams or strong balance sheets likely to withstand the cuts in investment.